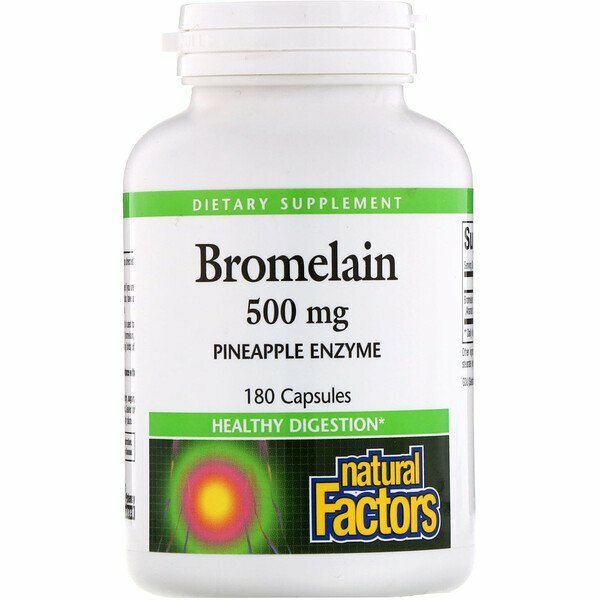 Bromelain is an enzyme isolated from the stem of the pineapple plant and is used to support the digestive system. 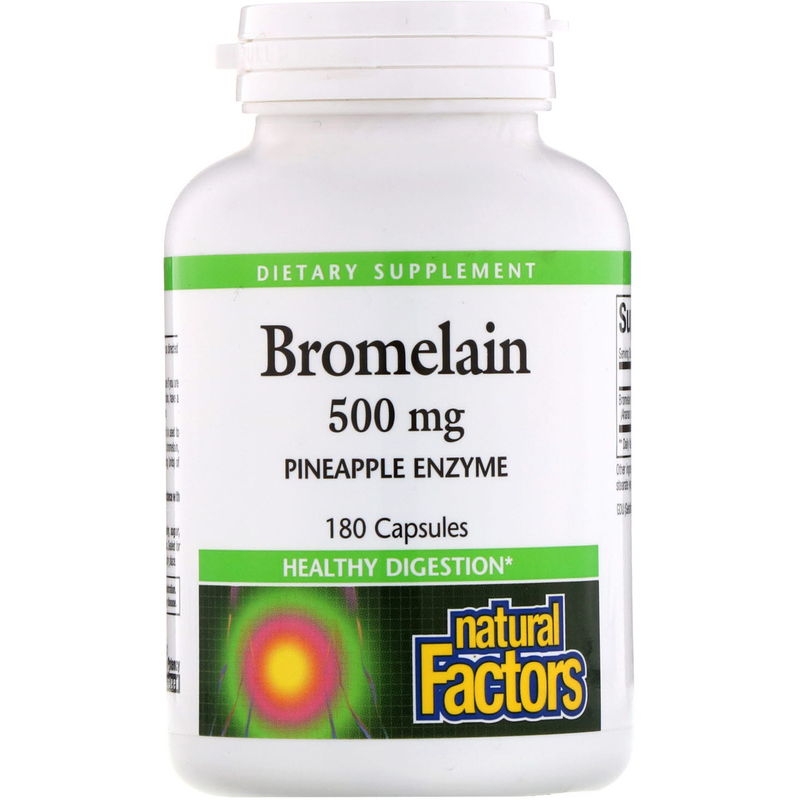 Natural Factors only uses extra-strength bromelain, providing 1000 GDU (Gelatin Digesting Units) and 1500 MCU (Milk Clotting Units) of enzyme activity per gram. 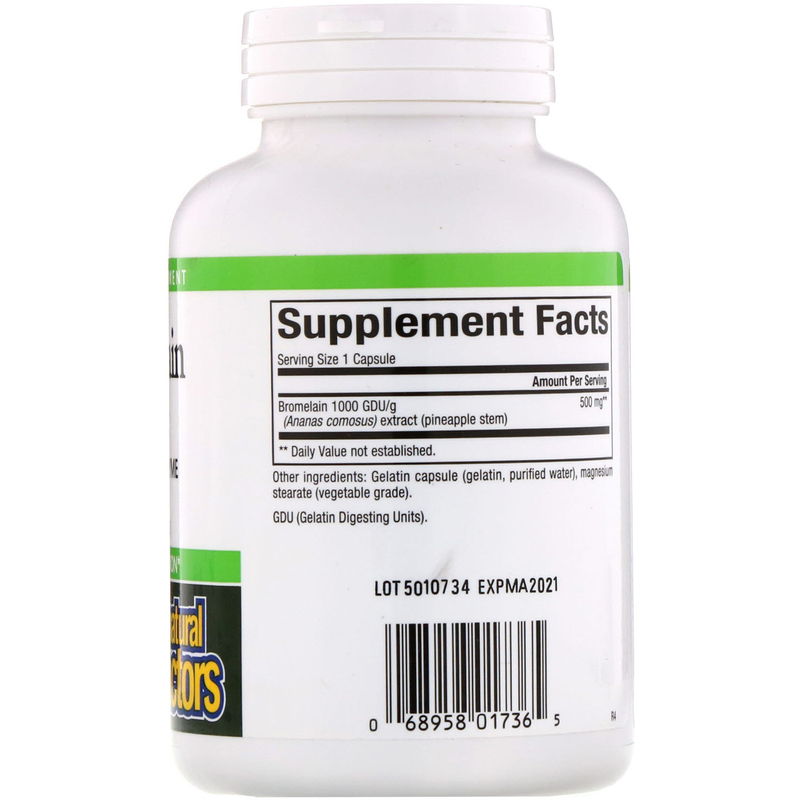 1 capsule 1-3 times per day preferably with meal or as directed by a health professional. Contains no artificial colors, preservatives, or sweeteners; no dairy, sugar, wheat, gluten, yeast, soy, egg, fish, shellfish, salt, tree nuts or GMOs.